2014 saw the introduction of Simon Wright Racing Developments first 100% pure racing Bambino kart, the Wright “Centaur”. In the Centaurs maiden year it won the British Open championship (The “O” plate), with driver Oakley Keightly. Along with fellow Centaur driver Jay Holtby, Keightly provided the Wright Centaur with an “O” plate 1-2 as well as various BKC Championship heat and final wins. The immediate success of the Centaur in 2014 provided a dramatic increase in awareness of the Wright amongst the Bambino paddock and saw a number of drivers make the change to the Wright Centaur for 2015. Almost universally drivers/teams reported back an immediate improvement in results, showing just how universally driver friendly it is (A feature SWRD has focused on for kids just starting out in karting). As 2015 comes into the second half of the Championship season the Wright Centaur is again showing its ability and speed in the Bambino class, topping both the MSA British Championship points table and the BKC Championship. Chance Bennett leads the way in the MSA British Championship ahead of fellow Centaur drivers Taylor Orridge and Freddie Slater. 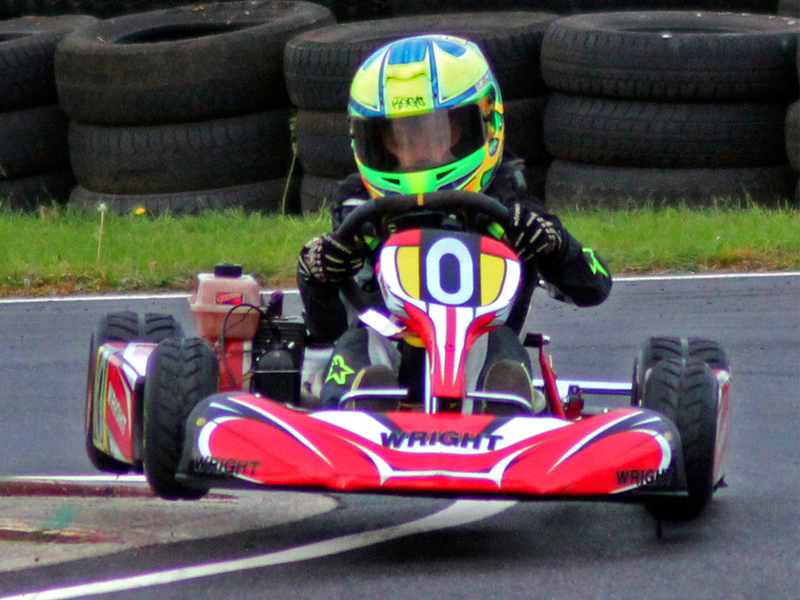 Orridge, coming off the back of a clean sweep of heats and final wins at the last round at Larkhall. He will be looking to put pressure on Bennett during the remainder of the year. Freddie Slater heads the BKC Championship at the half way point from Orridge. And with five karts in the top six positions the centaur is in a strong position to push for the title come the end of the season. We look forward to the second half of the year and will of course keep you updated with the results. Good luck to all our Centaur drivers. A huge congratulations to all of our Wright Centaur drivers at the Bambino MSA Championships that took place at Rowrah on August 8th & 9th. We are delighted to report that the Centaurs blocked out 1st – 5th, including a 1st for Taylor Orridge and 2nd place for Centaur debutante Oscar Blanchard. You can view the complete results here. To see further details on the Wright Centuar – Click here!